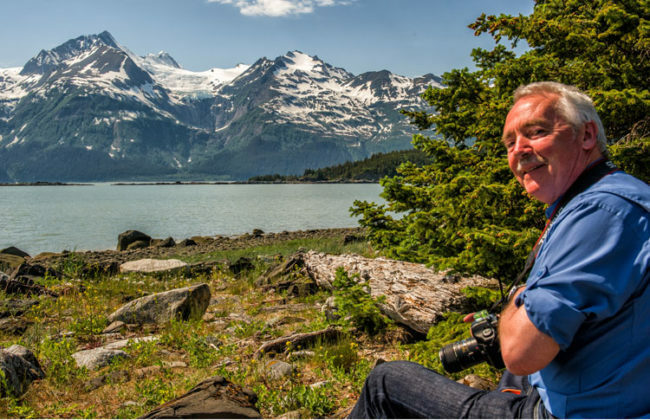 A Haines private tour is a personalized experience that many have claimed was the highlight of their Alaskan excursion. You will not be on a bus or in a group. Tom Ganner is a local guide who can offer you the best opportunity to experience the Alaska of your dreams. 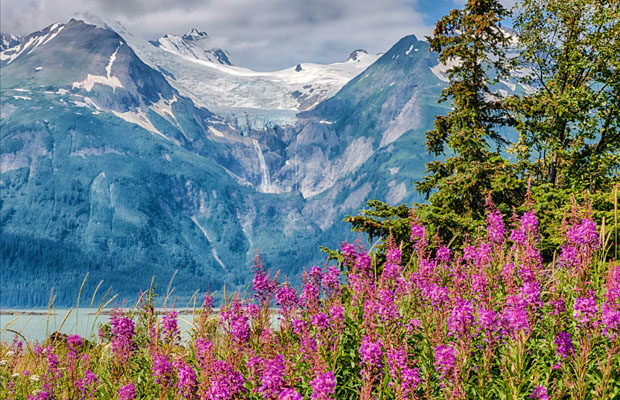 Landscape, wildlife, history and culture will make your Haines private tour an experience you will remember and cherish. 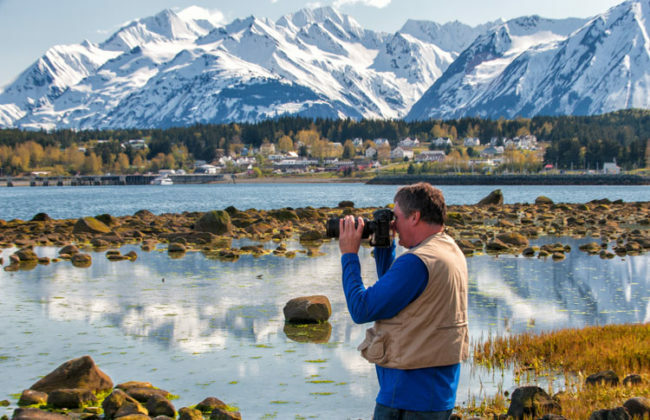 Whether you are a photographer, or a casual traveler who wants to see the best of Alaska, the private tour of Haines will focus on you while you Focus on Haines. 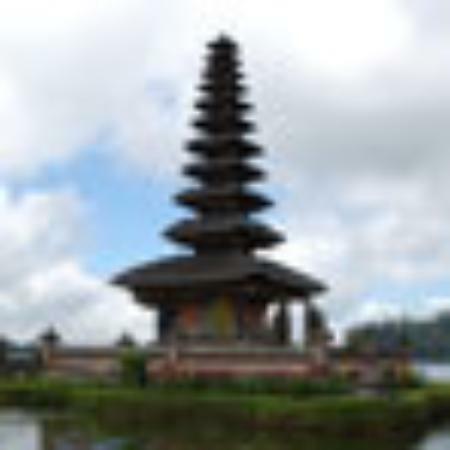 4 to 5 hour private tours for singles or couples are available, and there is a limit of 3 people per tour. 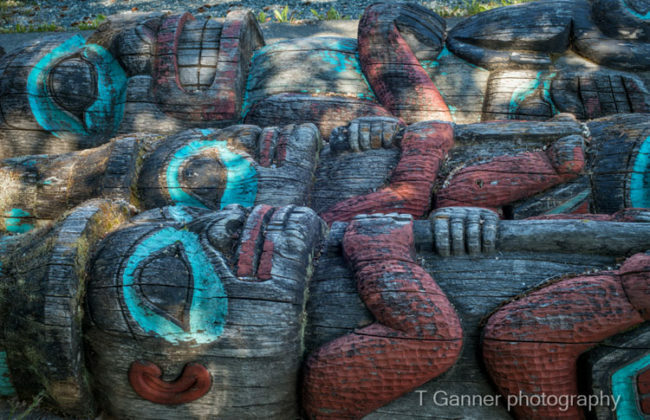 Totemic art, poles and panels. 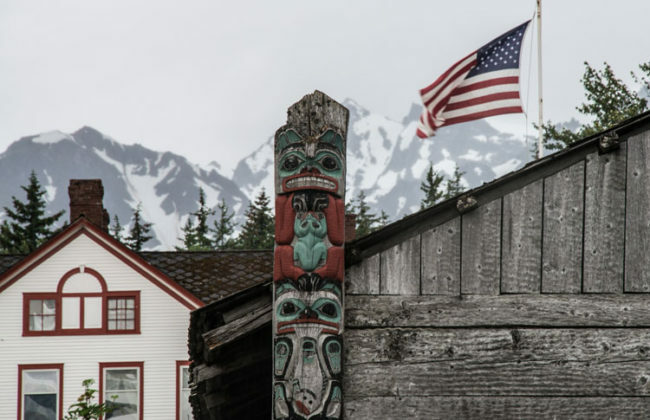 I offer an historical perspective on the interaction between the local indigenous Tlingit people and the Anglo people who were invited to settle here and create our town. The historic Fort Wm. H. Seward is Alaska’s first permanently established Army outpost. 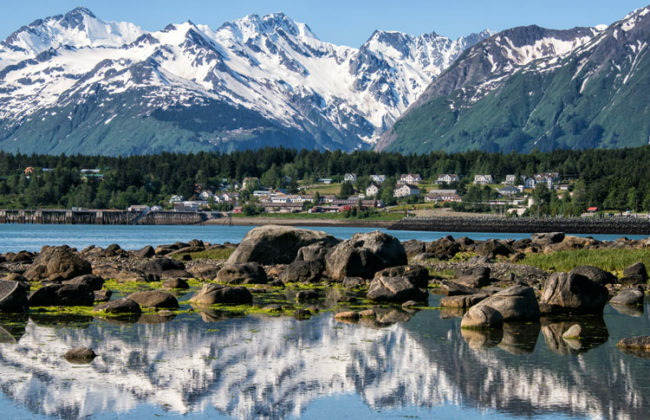 I offer an historical perspective on why and how this outpost came to be established in Haines, as well as its evolution after its decommission. The Fort remains a vibrant center of the Haines borough. 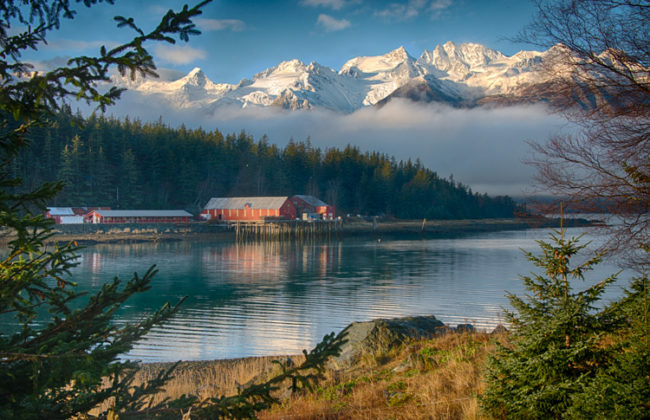 Haines’ oldest continually operating business is an historic cannery located on a scenic cove near town. This is a truly iconic location. Sweeping vistas, glaciers, wildflowers, salmon rivers, in addition to wildlife as wildlife permits. Photography is many things to many people, therefore interests vary, expertise varies, and equipment varies. My Haines private photography tour is small, because I want to address each individual’s interests, equipment, styles and expectations. Regardless of your level of expertise, or your style of camera my experience will tailor our excursion to suit your level of ability and equipment. Bring your smart phone in addition to your DSLR and I will help you unlock the magic. 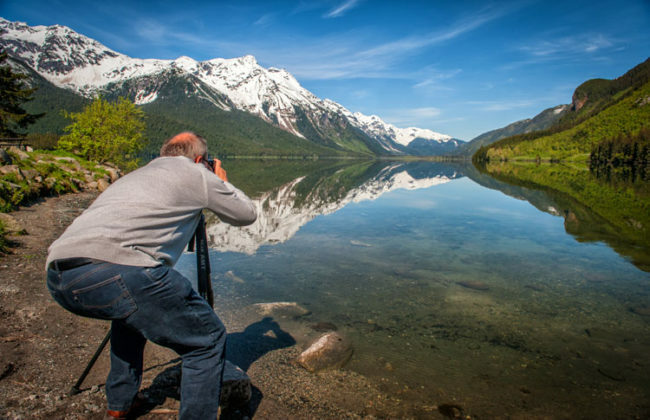 In the course of the Haines private tour for photographers I strive to cover the basics of your camera’s technical functions. I offer instruction how and when to use the camera’s various modes to optimize the photograph you would like to save as a real keeper. This would include first, choosing the proper ISO; second, how to optimize white-balance; third, when to use aperture mode vs. shutter priority; also the proper application of bracketing to optimize dynamic range within a shot with high contrast. Additionally I offer tips to optimize your opportunities for successful wildlife photography. If you just want to go out and shoot pretty scenes then I discuss the best composition considerations when framing your shots so you come home with an award-winning photograph. 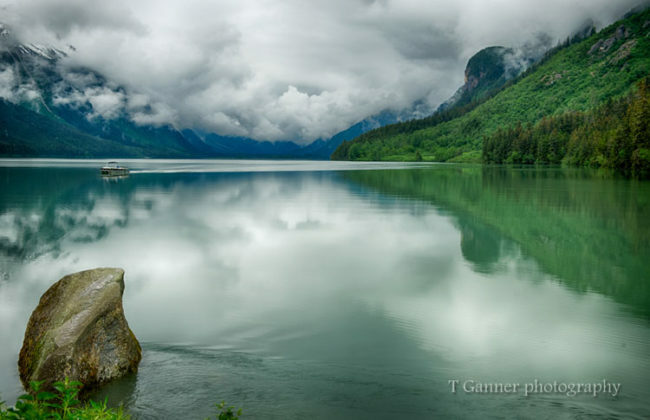 “Snapshot” does not need to be in your vocabulary on a Haines photography tour. Four-hour private tour: $300 plus 5.5% sales tax. You can add an additional photographer (third member of the party) for $150 plus tax. To assure scheduling, it is best to arrange reservations with payment two weeks in advance of a booking date. Non-scheduled tours are possible subject to availability. I will be happy to personally discuss your needs and questions. Please use the contact link below. If you would like to talk by phone, please provide your number and the best time to call via an email and I will be happy to contact you. Discover the Alaska of your dreams. Tom was an excellent local resource! Such a pleasure having hired Tom for an afternoon excursion in Haines. We wanted to tap his local knowledge to help us find brown bears, learn more about Haines, and perhaps get some photo tips. Tom truly delivered a fantastic experience. Tom provided great insights into brown bear behavior, Haines... read moreSuch a pleasure having hired Tom for an afternoon excursion in Haines. We wanted to tap his local knowledge to help us find brown bears, learn more about Haines, and perhaps get some photo tips. Tom truly delivered a fantastic experience. Tom provided great insights into brown bear behavior, Haines history and his photo advice was excellent. His sense of humor was an added plus.